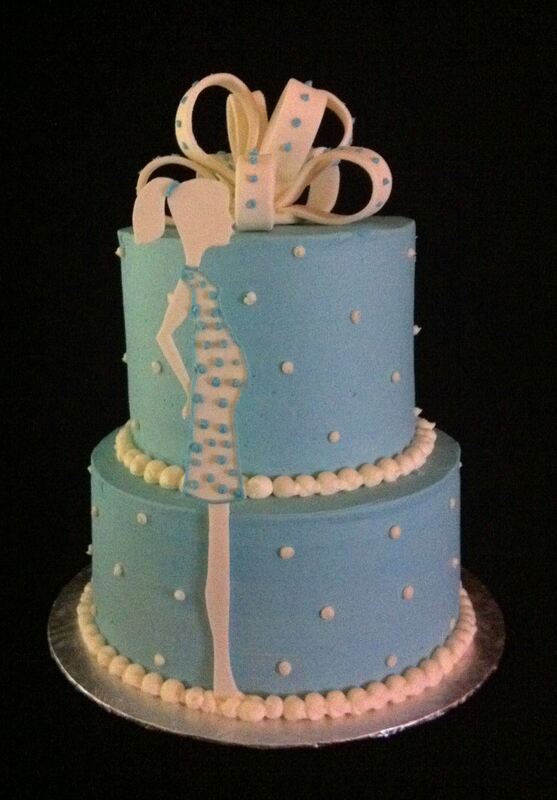 This two tier buttercream, light blue and white cake was created for a baby shower. 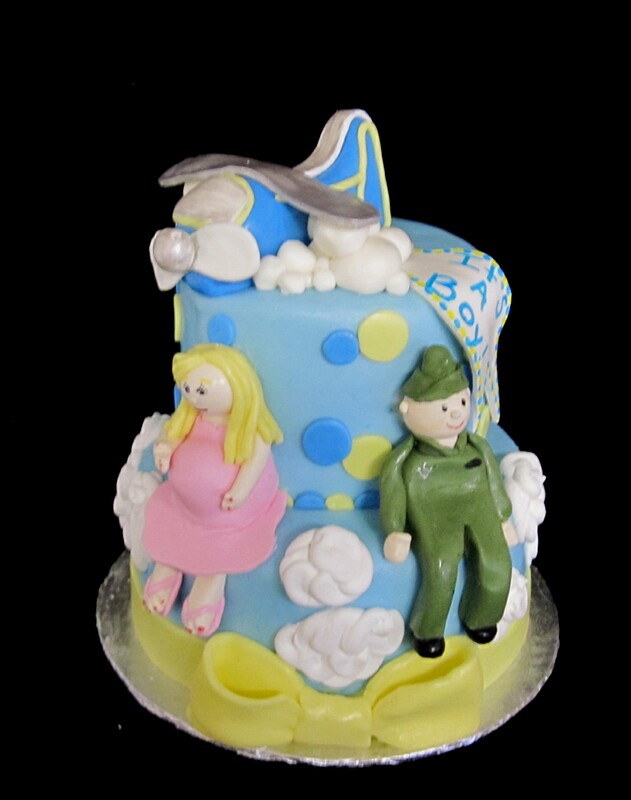 The pregnant lady and the bow on the top are made from gumpaste. Call today to order your special occasion cake. 859-285-0306. 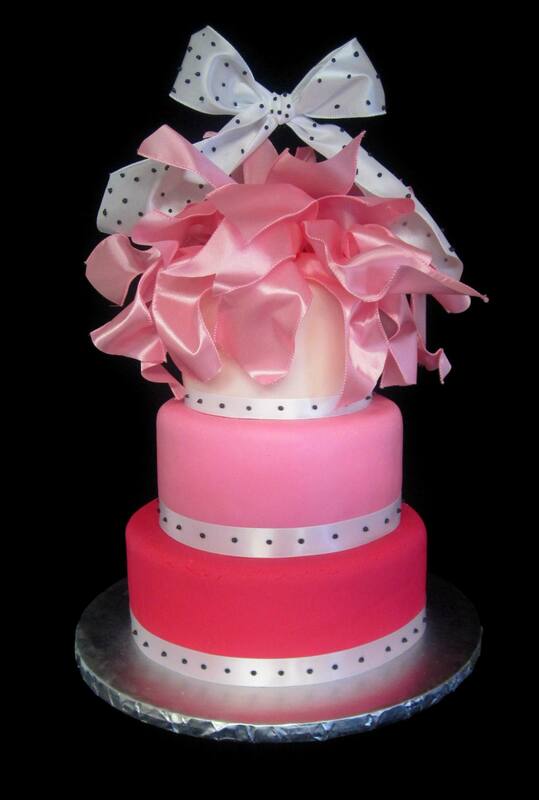 This cute pink variation 3 tier cake was created for a baby shower that was held at the Danville Country Club. The cake is covered in 3 shades of pink marshmallow fondant. The design is based on the baby shower invitation. 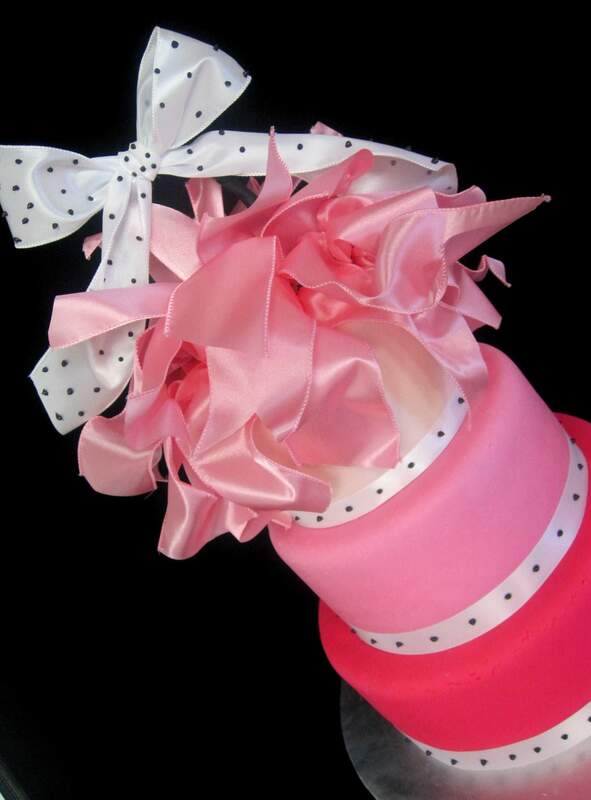 To order a cake, call The Twisted Sifter at 859-285-0306. 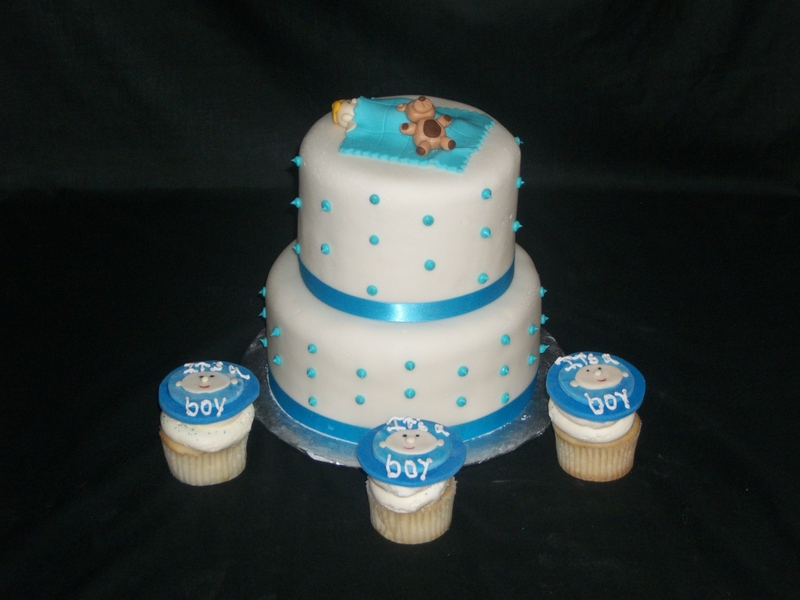 This cute blue and white two tier cake with accompanying cupcakes is for a welcome baby boy baby shower party. To order a cake or cupcakes, call The Twisted Sifter Cake Shoppe at 859-285-0306, email us at TheTwistedSifter@yahoo.com or visit us at 128 Church Street in downtown Danville, KY. Finally! We are moved into our new shop. We are located at 128 Church Street in downtown Danville, KY. We will be offering gourmet cupcakes on a daily basis. 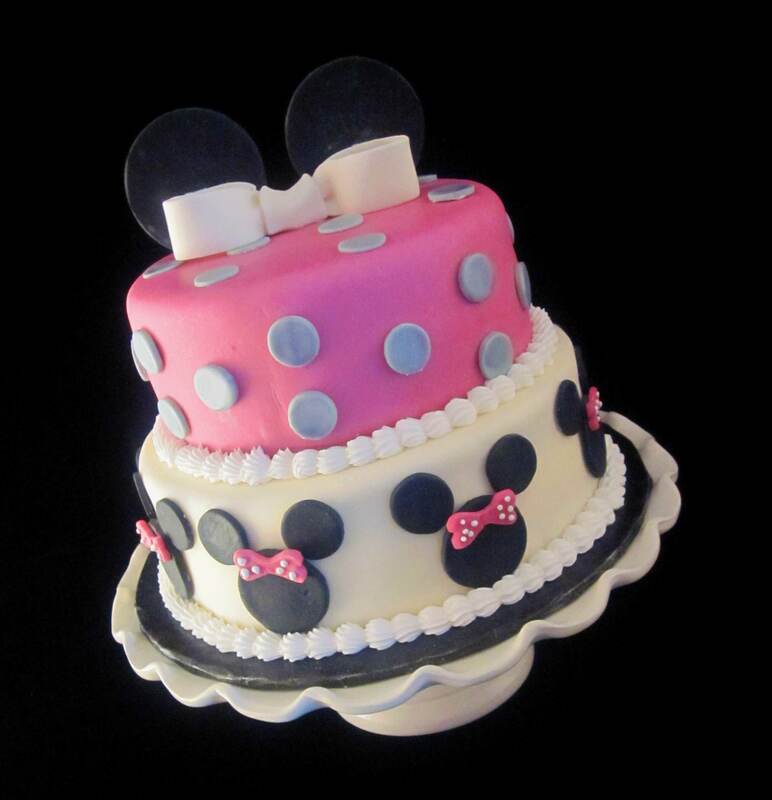 And, as always, we will continue to create our custom cakes, offer complimentary wedding consultations, and host “Create a Cake” parties. We are open Tuesday through Saturday 10:00 am to 7:00 pm., Sunday and Monday by appointment. We will be starting decorating classes in January 2010. For more information call (859) 285-0306 or Sueticia at Boyle County Community Education – (859) 583-4926. Stop by, have a cupcake and say “Hi”. For more information visit our website at http://www.TheTwistedSifter.com or call (859) 285-0306.